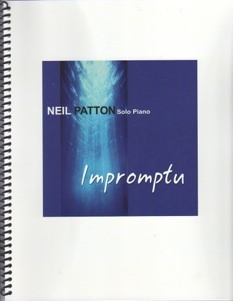 Impromptu is the companion songbook to Neil Patton’s 2007 CD by the same name. 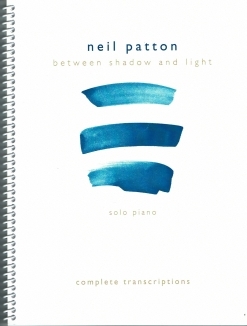 The book contains all ten pieces, transcribed by the artist himself with the notation that they are “fairly accurate” transcriptions of what he played when he made the recording. Patton’s music is highly improvised and constantly evolving, so some of these pieces have changed a bit. It should also be noted that Patton studied classical music from the age of five through college, earning honors as a music major. He is an exceptionally accomplished pianist, so this songbook is somewhat more advanced than many of the books in the so-called New Age genre. All ten pieces are very playable, and some are fairly easy, but some of the rhythms are tricky and a couple of pieces are in difficult key signatures. Early advanced pianists should be able to handle most of the pieces without too much trouble, and should be able to master the more challenging pieces with a little extra time and concentration. The book is spiral-bound (yea!!! ), printed on a sturdy paper stock, and easy to read. The print is very clean and clear, and the spacing is excellent. Directions for dynamics and tempi are also very clear. The pieces I found to be the easiest were “First Steps,” “Providence,” “Prayer For New Wind,” “Looking Back,” “Jig,” and “Catherine.” I enjoyed playing the whole book and recommend it to pianists of a more advanced playing level. 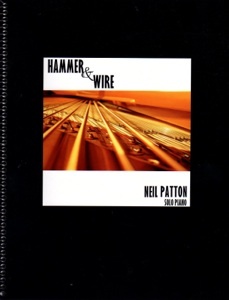 It is available from neilpatton.net.